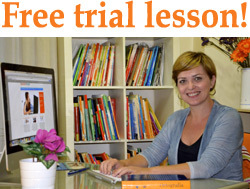 These Spanish Lessons via Skype for Children and teenagers are the most entertaining and effective way to teach children Spanish at home – where you be with your child (maybe even learn with them) and without the stress of ferrying them to and from their Spanish class. In this Spanish lessons via Skyepe we use teaching methods that allow the children to learn Spanish in a natural way, and most importantly in a way they will enjoy, through games and activities, videos and stories. The Spanish for teenagers classes are adapted to the rhythm of learning at school and even if you don’t receive formal classes at school we can follow a school book perfectly adapted to people of your age. We will surf the net to find topics that will interest you such as comics, videos on youtube, series and cartoons, webquest, etc. And of course we will work together to help you pass your Spanish exams.